Simply the best designed wood baluster. The 2015 is as beautiful as a plain, with flutes or with a twist. It has a simple bottom urn with and tapers upward move the eyes gracefully up a stairway. The 2015 is excellent for Victorian stairs or traditional stairs. 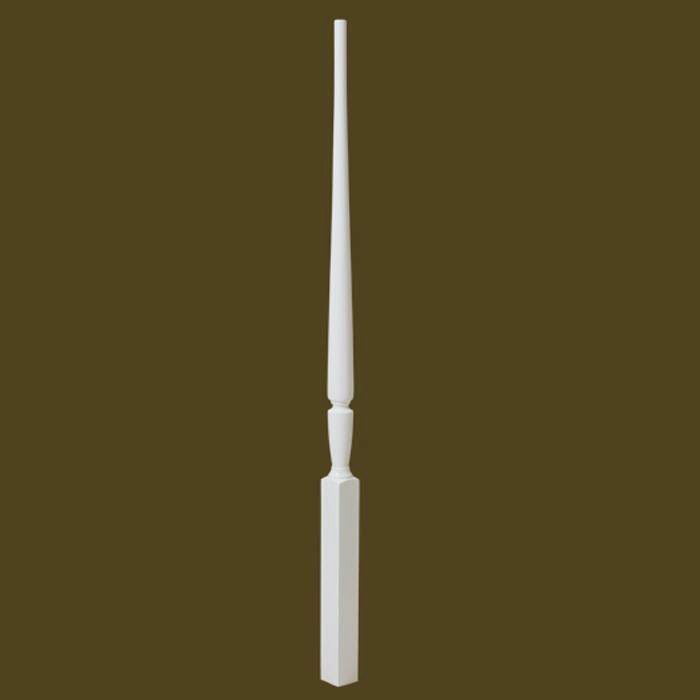 The 2015 series baluster does come with a dowel pin on the bottom. What is height of baluster? 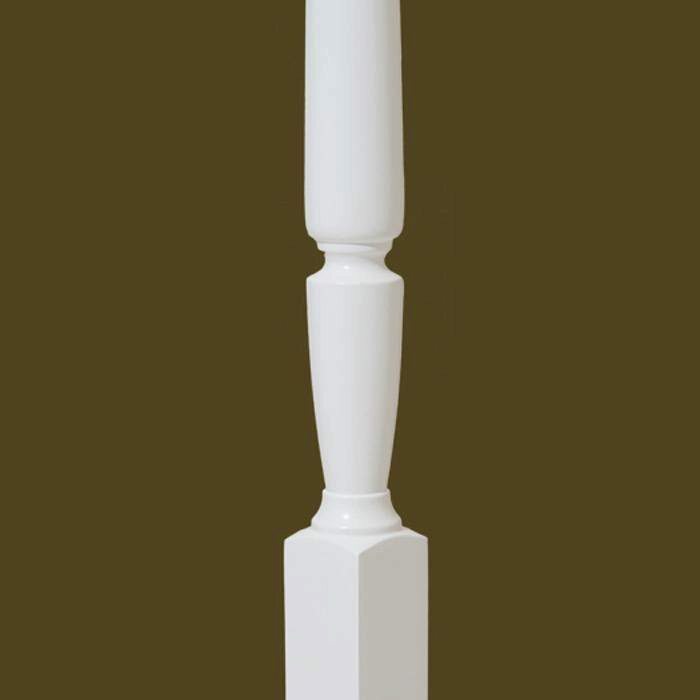 The height of this baluster is 42″. You can see how long the individual parts of the baluster are by clicking on the diagram to the left of the main picture. Please let me know if there’s anything else I can help you with. 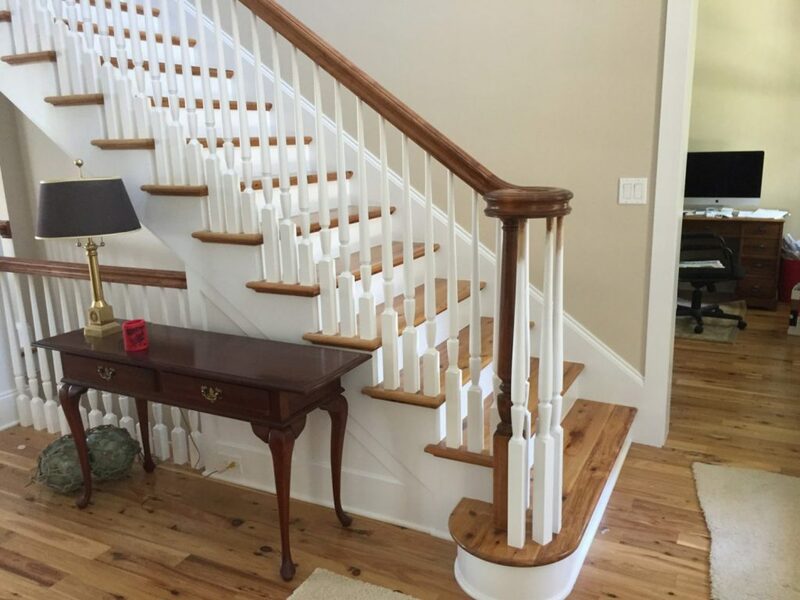 I am would like to know the width of the baluster at the bottom (the 13 1/2″ section). Is that 1.75″ by chance? Yes, the bottom of the baluster has a width of 1.75″. 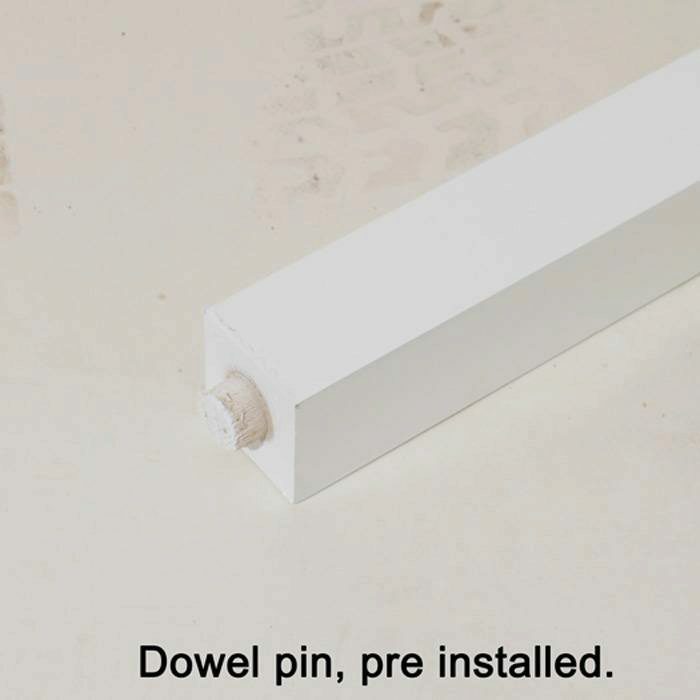 What is the size of the dowel pin in the bottom? Thanks for your question! 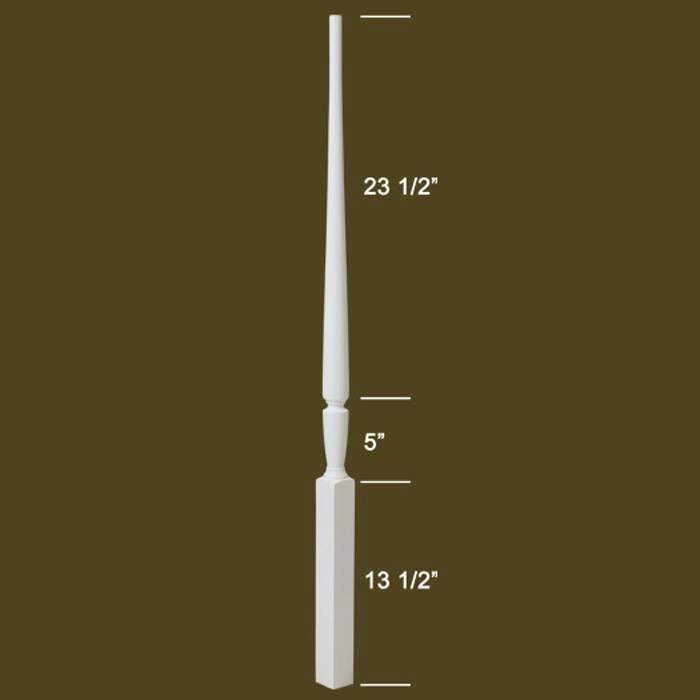 The dowel pin is 3/4″ If you have any additional questions about the 2015 Imported Primed Baluster, please give our team a call at 1 (866) 226-6536.